U.S. Rep. Marsha Blackburn, R-Tenn., seeking a seat in the U.S. Senate, speaks beside President Donald Trump during a May rally in Nashville. U.S. Senate candidate Marsha Blackburn sits down with the Times Free Press editorial staff Pam Sohn Clint Cooper Ron Hart and Lesley Dale for an interview. Former Chattanooga Mayor Bob Corker suggested when he was running for the United States Senate in 2006 that he couldn't imagine serving for more than two terms. Last fall, perhaps frustrated after dust-ups with President Donald Trump and perhaps irritated with the Senate's inability to tackle nondiscretionary spending seriously, he said two terms indeed would be fine with him. After a brief reconsideration of his decision early in the year, he made his decision to exit the Senate final. While he may have angered conservatives in Tennessee by going toe to toe with the president on several issues, we will miss much about his service — his clear-eyed chairmanship of the Senate Foreign Relations Committee in such a volatile world, his repeated warnings about heaping debt on future generation, his adoption of modern slavery as an issue and his status as a non-ideologue in a body of burgeoning Democratic and Republican ideologues. U.S. Rep. Marsha Blackburn, R-Brentwood, is not Bob Corker, but she will make an excellent senator. We endorse her candidacy in the upcoming Republican primary next month and in early voting beginning tomorrow. She has only one primary opponent, Aaron Pettigrew, a Murfreesboro over-the-road truck driver. The eight-term representative is no stranger to Washington or to politics. Before being elected to Congress in 2002, she was a state senator for four years. In Nashville in 2000, Blackburn helped lead a successful grassroots campaign against the state income tax suggested by Republican Gov. Don Sundquist. In Washington, where she was the first women elected to Congress from the state who was not a stand-in for her husband, she rose quickly to become an assistant whip and then a deputy whip for Republicans. She also is the communications chairman — she prefers that term to chairwoman — of the National Republican Congressional Committee and is the former communications chairman of the Republican Study Committee. Blackburn is a member of the Committee on Energy and Commerce and the subcommittees of Communications and the Internet, where she is chairman; Commerce, Manufacturing and Trade, where she is vice chairman; Health Care; and Oversight and Investigation. She also is chairman of the Select Investigative Panel on Planned Parenthood, where she exposed the organization — and several others — for its involvement in the baby parts trade. She has a 100 percent pro-life voting record and has sponsored and co-sponsored various pro-life bills, so she is likely to be a fall target of heavy spending by pro-abortion groups. Her burgeoning Senate campaign got national exposure last October when Twitter removed one of her campaign ads that referenced "baby body parts," and later restored it. 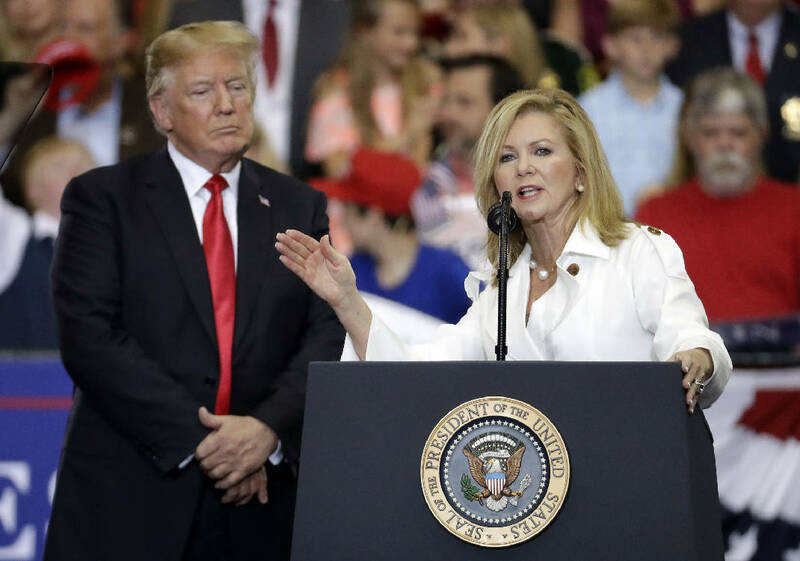 Around the same time, Blackburn described herself as a "hard-core, card-carrying Tennessee conservative" and as "politically incorrect," and proudly noted that liberals have characterized her as a "wing nut." So, for Tennesseans who want their senator to be closer to Trump than Corker is, she fits the bill. For those who prefer Corker's pragmatism, we believe the Senate has a way of making its members more deliberative, though we wouldn't want her to lose her conservative bona fides. Blackburn, 66, is likely to face former Democratic Gov. Phil Bredesen, 74, in November.